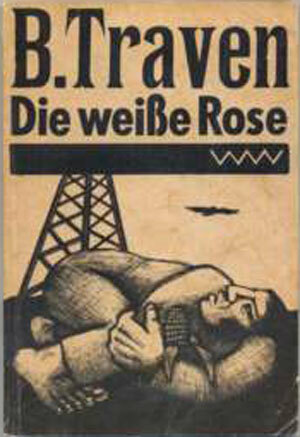 I’ve been digging around bookstores and online, tracked some new ones down on Flickr, Amazon, and the Open Library. 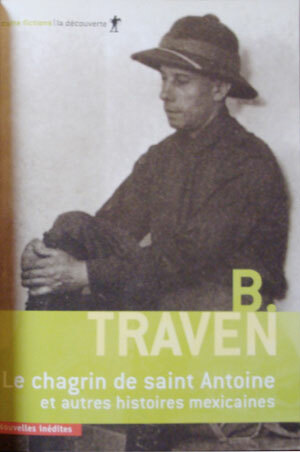 Traven covers are like the gift that keeps on giving, just when I think I’ve found most the them, dozens more show up! 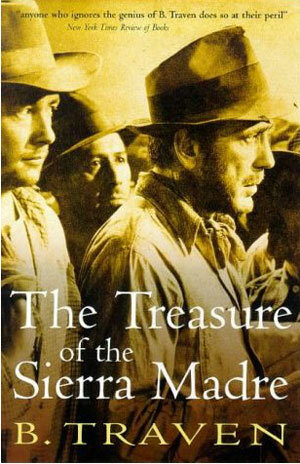 We can start with The Treasure of the Sierra Madre. 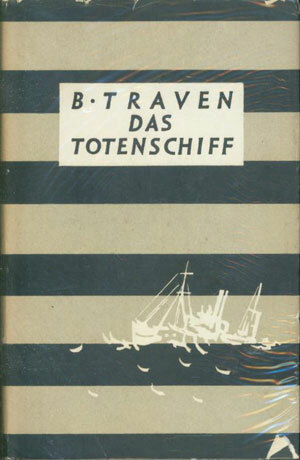 Above is the dust jacket of the second German edition, published in Zurich by Büchergilde Gutenberg in 1942. 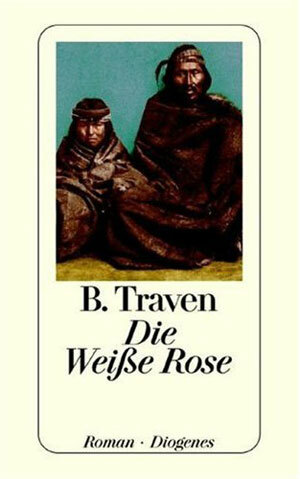 The image is designed by Richard Paul Lohse, and is actually an enlarged version of the same character that was printed much smaller and directly on the cloth cover of the first edition (midway down the post HERE). 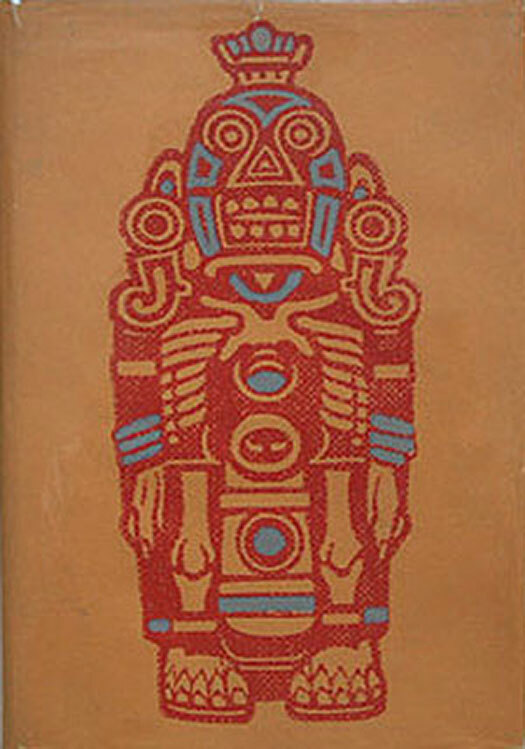 The red figure with turquoise highlights makes for a bold cover, especially without any text to distract from it. 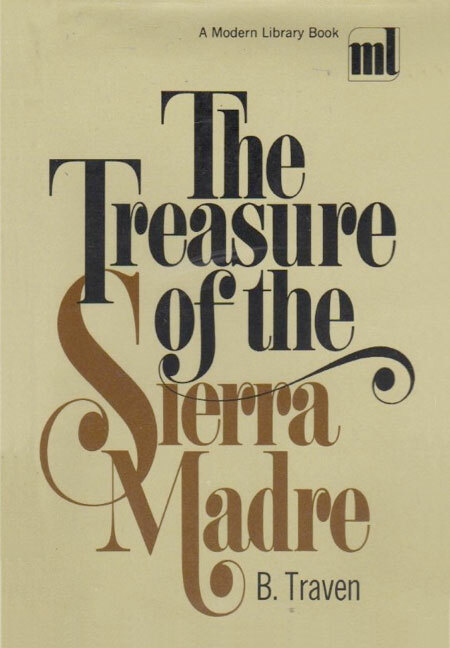 To the left is The Modern Library (1969) edition; with it’s bold serifs and excess curly-cues it could almost pass for a “serious” but trashy society novel. 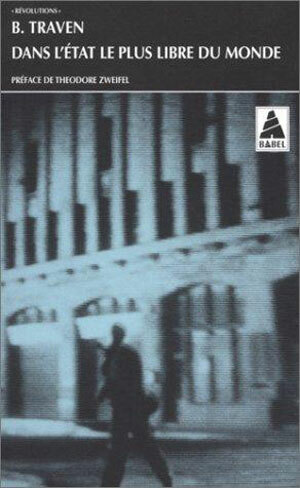 To the right the 1999 Prion edition. Next up The Bridge in the Jungle. 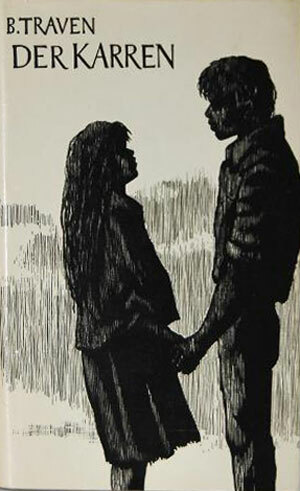 First a 1970s Hill and Wang cover, with its house style charcoal drawing of an indigenous peasant (you can cruise through the old Traven cover posts to see another half dozen examples of covers in this exact same form). 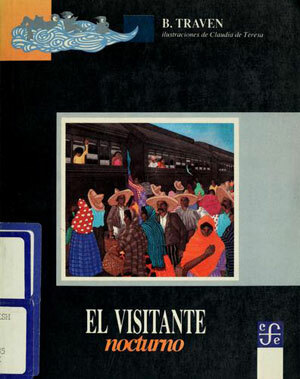 Next is a Mexican edition from 1971 by Compañía General De Ediciones. 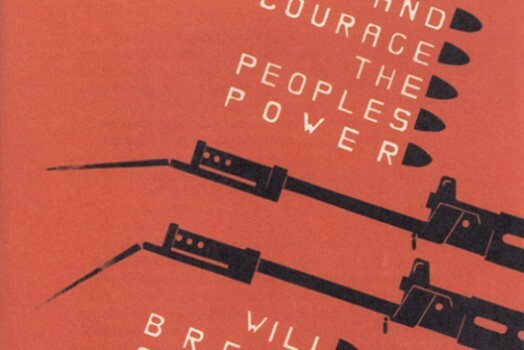 Interestingly, the design is very similar to the house style Hill and Wang used in the late 60s for their Traven books (before switching to the style to the left here), same font and illustration style. 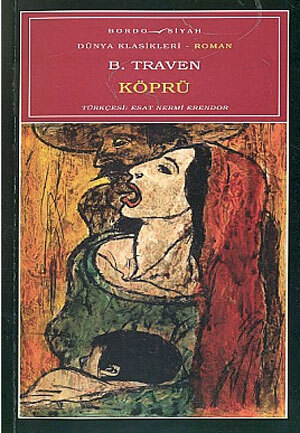 Next is a Turkish edition of unknown date (the title is simply “Bridge” but I assume it is the same novel), and next to that a 1954 German edition with an interesting painterly cover—the shadows of the peasants with the torches on the bridge in the background add some great suspense to the design. 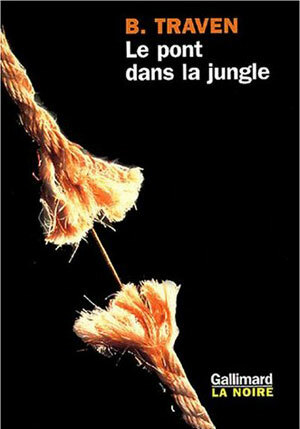 The French edition (Gallimard) of Bridge below goes for a much more direct representation of tension, a rope just at the point of breaking. There is something I like about this, but it also reads too much like a stock photo, the tension relieved by the fact that the torn rope is clearly a staged shot. 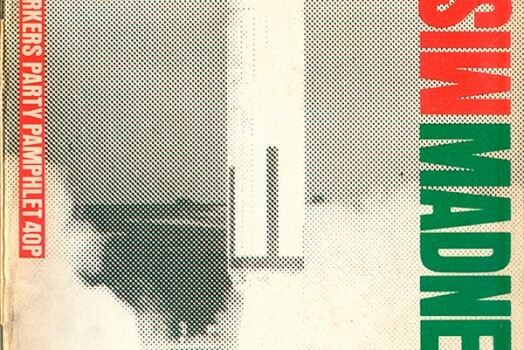 Now on to a couple more Death Ship covers I dug up. 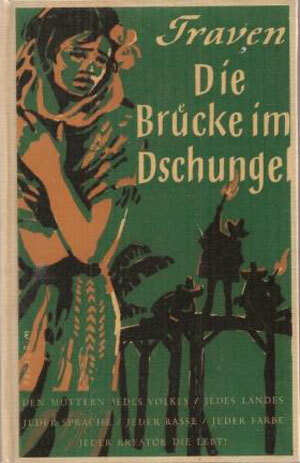 First an early German cover, a 1948 edition published by Wolfgang Kruger. 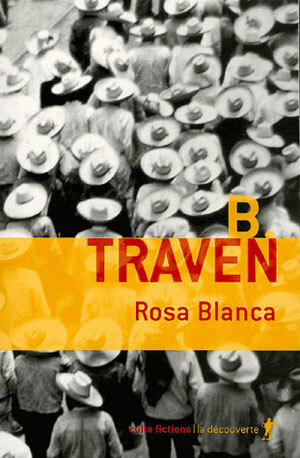 Below that is the real find, a cover for an edition in Esperanto! 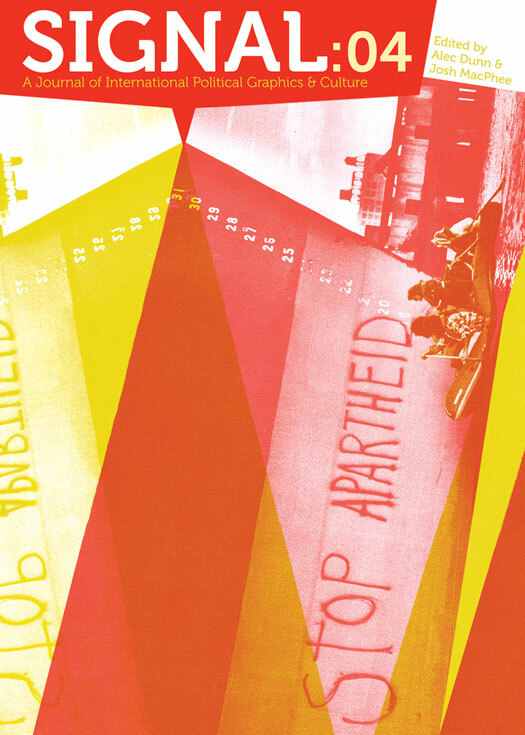 The whole cover is so cool I had to show the front and the back. 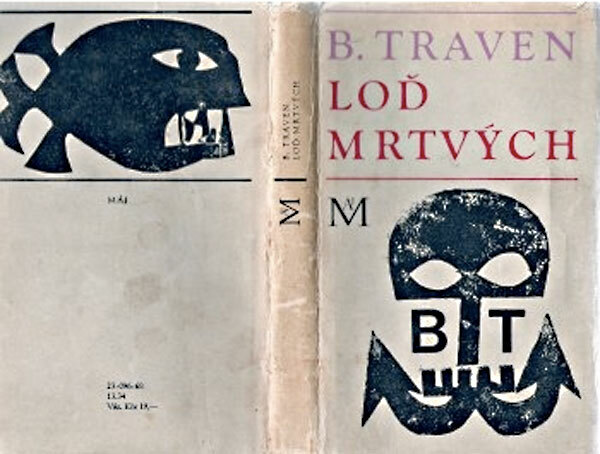 The raw graphic of the B. Traven skull/anchor is awesome, as is the giant fish on the back. 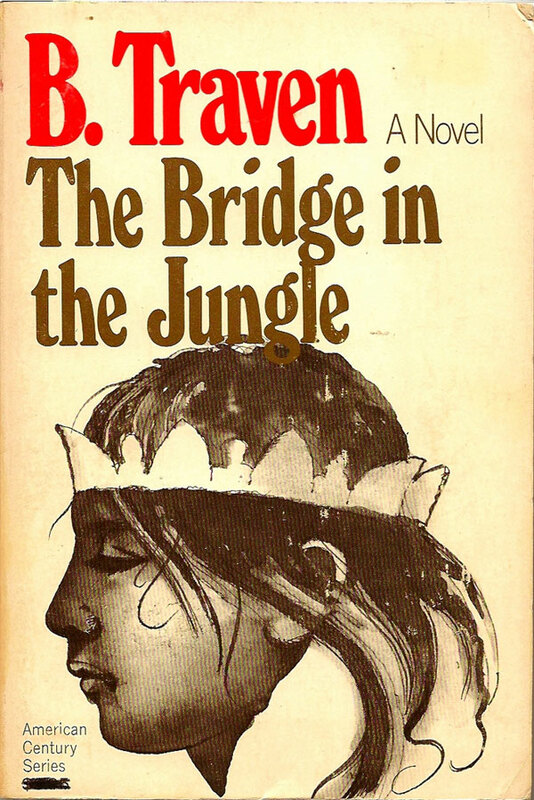 Now on to the Jungle novels. 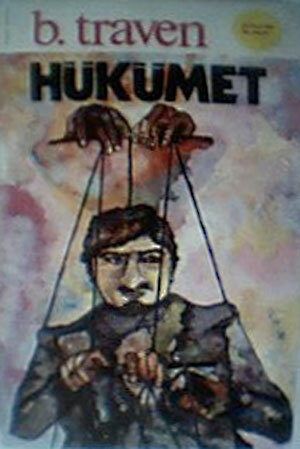 First is a Turkish edition of Government, obviously from the same publisher and series as Bridge above. 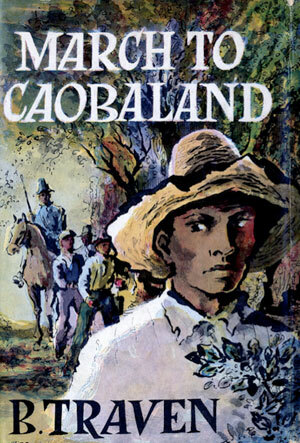 Then I’ve found three more covers for March to the Monteria (aka March To Caobaland). 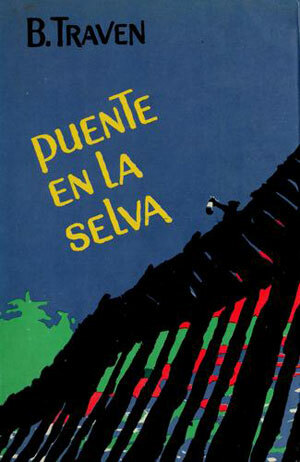 First is an edition published by Robert Hale in 1961 with a cover illustration/design by Val Biro. 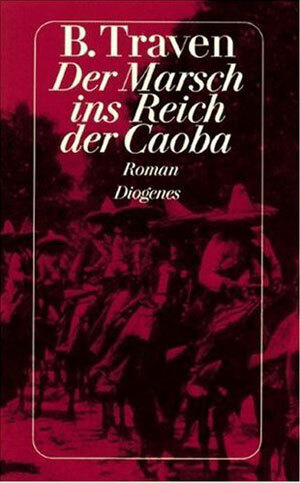 Next a German edition from 1994 published by Diogenes Verlag (within their standard house style, nothing too impressive), and a 1971 edition published by Heyne Buchen. 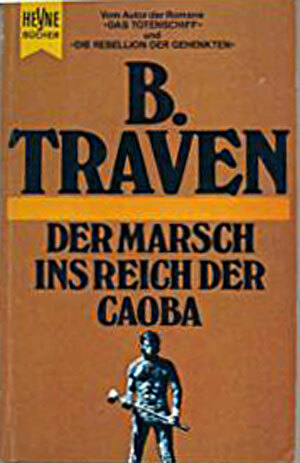 This is actually my favorite of the March covers here, there is something compelling about the small man holding up the title and the giant Traven name. 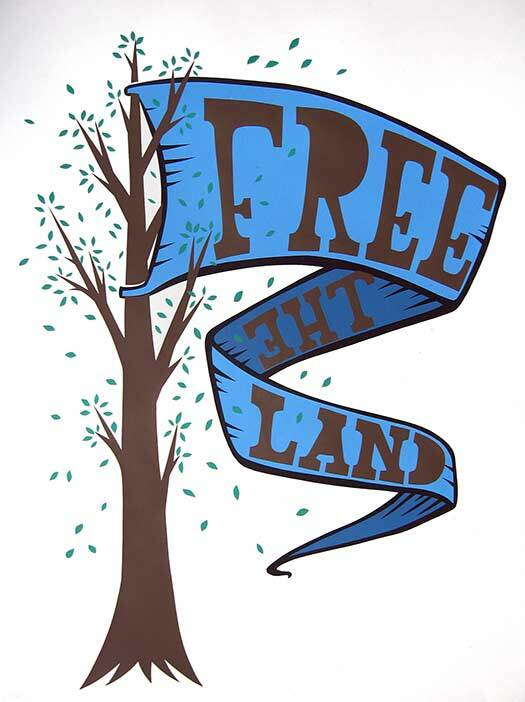 Plus the image reminds me of Charlton Heston in Planet of the Apes! Here are two editions of The Caretta, the first is French, a recent 2010 copy published by Editions La Decouverte, and then a 1955 Volk und Welt edition with a Werner von Klemke illustration (per all their Traven covers). 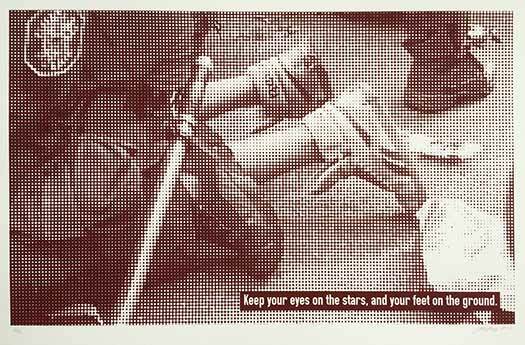 This one is a bit unique because of the stark black and white, no use of color. 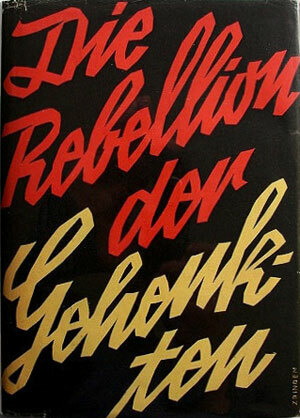 There are so many good covers for Rebellion of the Hanged. Here are three more. 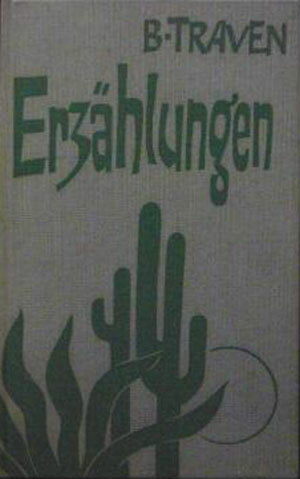 First the Büchergilde Gutenberg edition from 1936, with a text-only cover designed by Emil Zbinden. 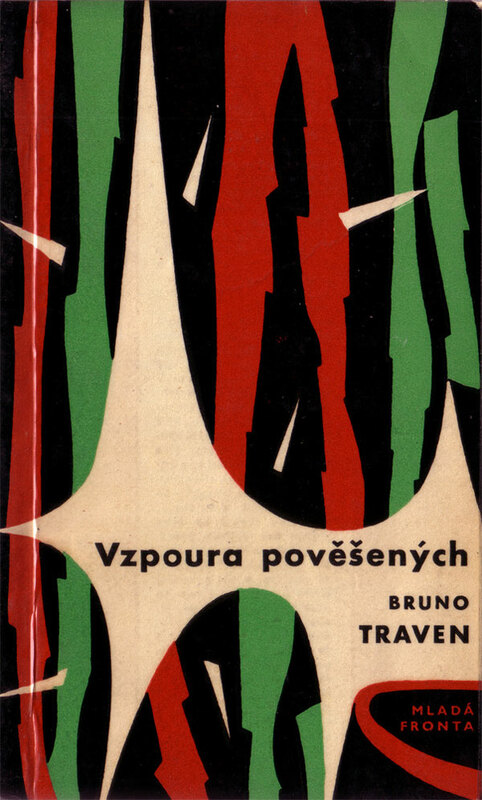 A gorgeous Modernist Czech edition published by Mladá Fronta. 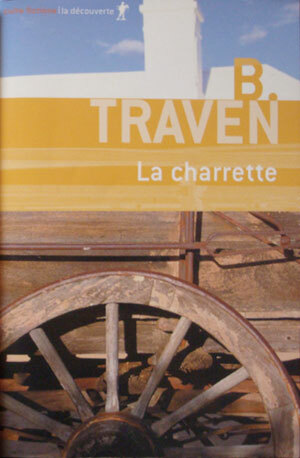 And a newer French copy from Editions 1018. 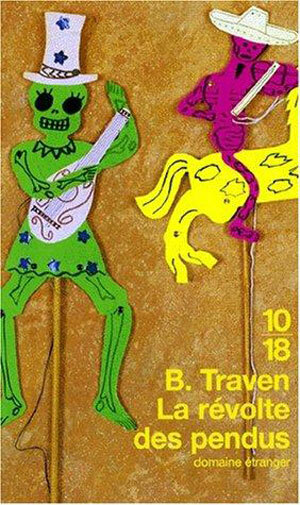 The brightly-colored calaveras hand puppets in a certain way capture some of the fateful absurdity of the novel. 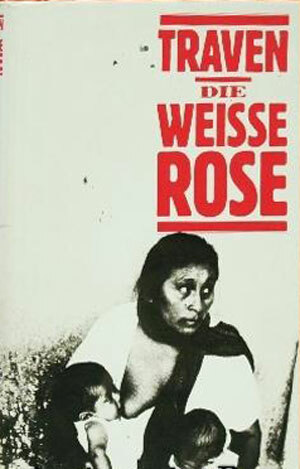 Next up is the novel The White Rose. 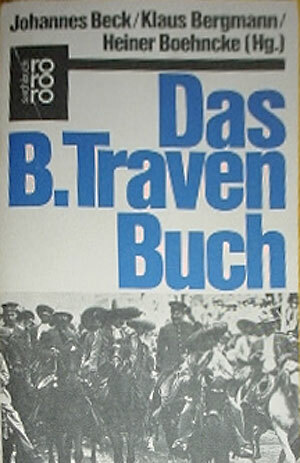 Above is a 2000 edition from Diogenes Verlag (house style). 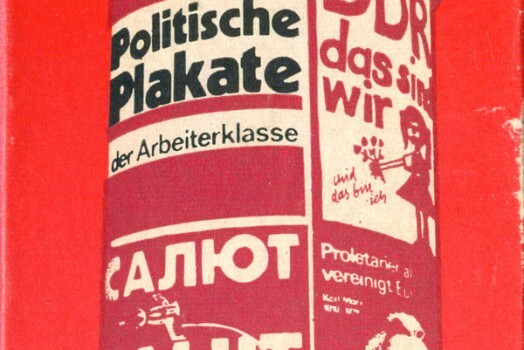 Below from left to right, first column, then second: Swiss/German edition by Gutenberg, 1974; German edition by Volk und Welt, 1983; 2 recent French editions from De Courverte, first one from the early 2000s, then a new one from 2010. 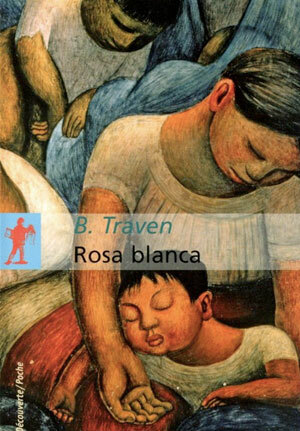 Although generally tired of the tendency to slap a piece of a Mexican mural on a Traven cover and call it a day, I actually like this one, the image is a close enough detail and interestingly enough cropped to make a compelling cover. 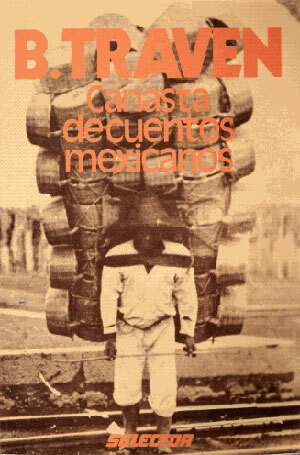 And lets close it out with a handful of story collections, many I’ve never seen in English: Mexican Basket Stories (Selector, 2002); The Freest State in the World (Actes Sud, 1999); The Night Visitor (Fondo De Cultural Economica, 1991); The Night Visitor (Stock, date unknown)—I’m unsure the origin of this edition or the date, I assume French and from the 70s or 80s. 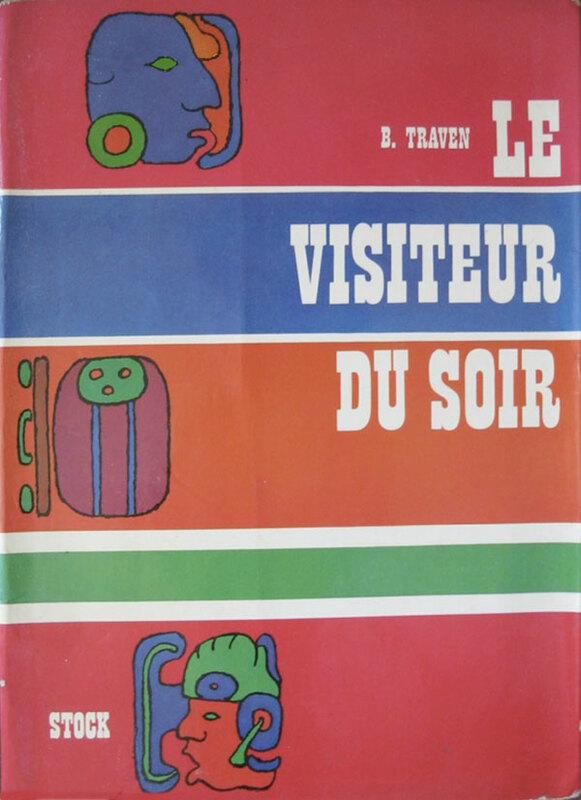 The stripes highlighted by Mayan glyphs really work, an all around great cover; The Sorrow of St. Antoine (De Couverte, 2005); The Book (Rohwolt Verlag, 1980s); Stories (Gutenburg, 1968); The Story of the Buried Corpse (Diogenes Verlag, 1980s or 90s). 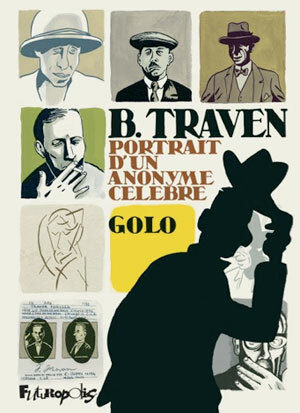 And rounding out the lot, two books about Traven: Golo’s graphic novel B. Traven: Portrait of an Anonymous Celebrity (Futuropolis) and Donald O. Chankin’s Anonymity and Death: The Fiction of B. Traven (Penn State University Press, 1975). 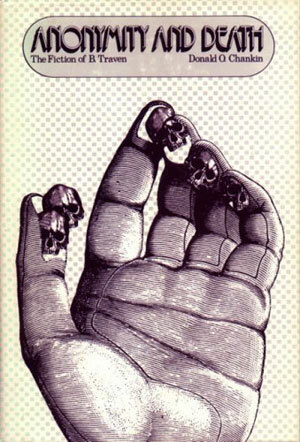 These skull fingers are quite something, it is hard to imagine a university press running with a cover this weird these days. It is incredible to see the reach of his novels, around the world. 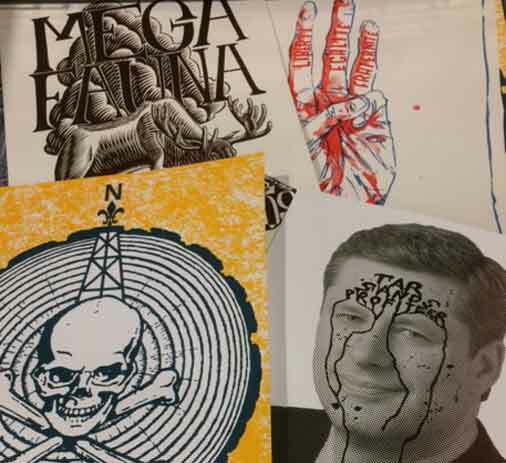 Would a contemporary Anarchist/Left author be published in so many languages? 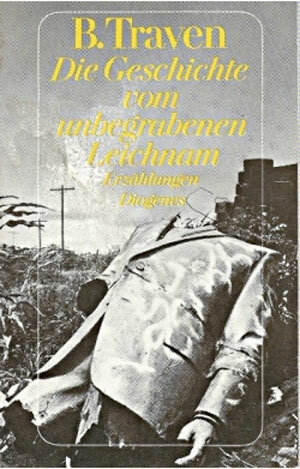 On large publishing houses?